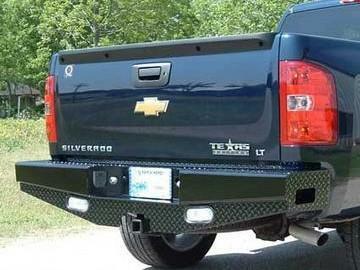 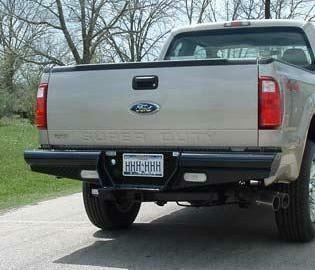 This back bumper is the industry standard. 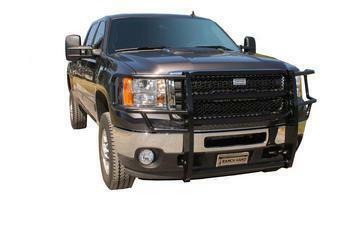 It is V-5 tested to 1000 pound tongue weight and 10,000 pound towing capacity or 500 pound tongue weight and 5000 pound towing capacity depending on the model. 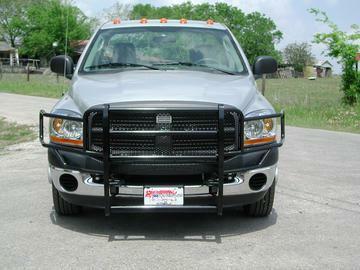 This bumper will accept a bolt on receiver tube. 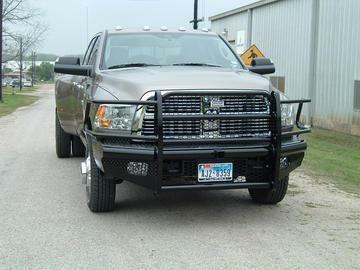 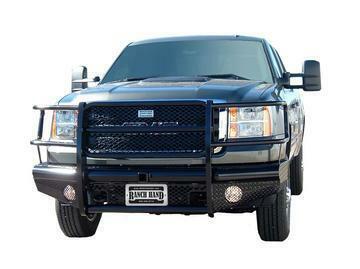 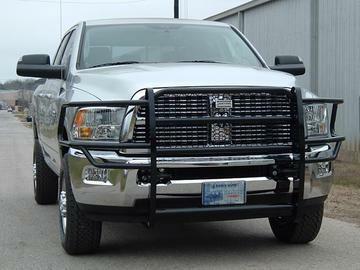 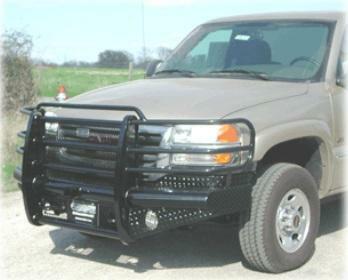 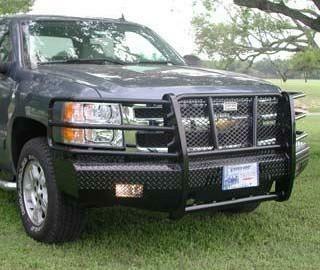 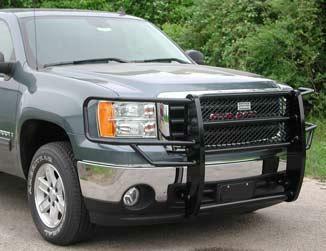 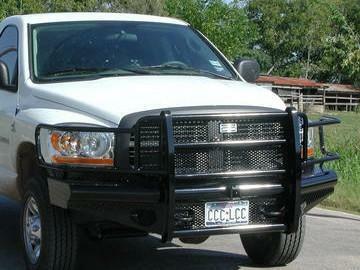 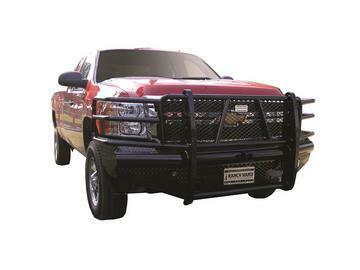 Adding the bolt on receiver tube to any Ranch Hand bumper will reduce the tongue weight to 500 lbs. 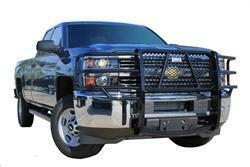 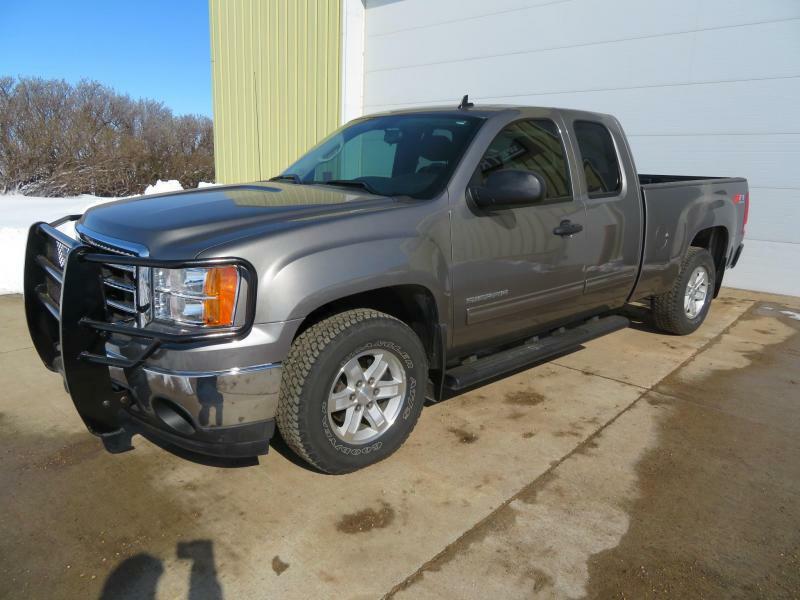 and the towing capacity to 5000 lbs. 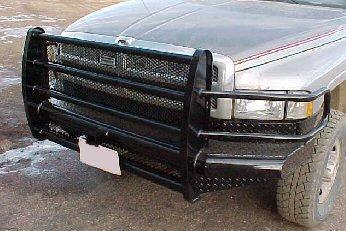 Available with 8 or 10 inch drops. 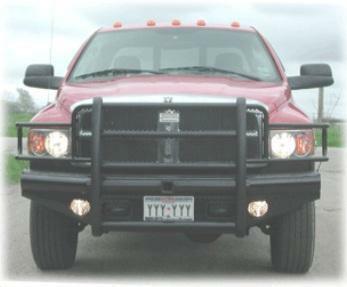 Optional back up/work lights available with 10 inch drop only (not shown).